Drug resistant bacteria are on the move, highlighting the need for more effective infection control precautions. AsianScientist (Apr. 21, 2015) – Dangerous superbug clones have successfully spread beyond the borders of the Middle East Gulf States, according to a study published in the Journal of Clinical Microbiology. 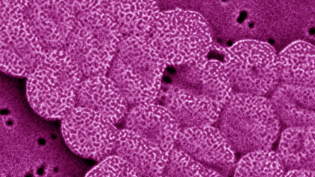 The superbug Acinetobacter baumannii, a bacteria well known for being antibiotic-resistant and associated with dangerous hospital-acquired infections and subsequent outbreaks, has been found in Saudi Arabia, United Arab Emirates, Kuwait, Qatar, Oman and Bahrain. University of Queensland PhD student Hosam Zowawi and his adviser Professor David Paterson have collaborated with international researchers to lead the first region-wide collaborative study on superbugs (antibiotic-resistant bacteria) in the Gulf Cooperation Council. Zowawi said the study found certain A. baumannii clones that were resistant to last-line antibiotics were prevalent in all Gulf States.